André, J.-C., M. Déqué, P. Rogel and S. Planton, 2004: The 2003 summer heatwave and its seasonal forecasting. 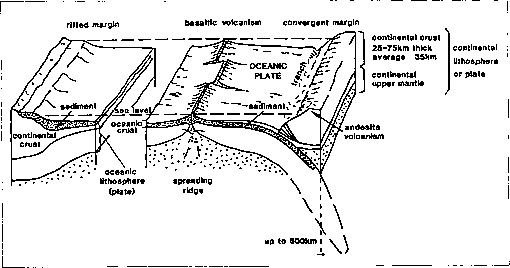 C. R. Geosci, 336,491-503. Barbosa, P., G. Libertà and G. Schmuck, 2003: The European Forest Fires Information System (EFFIS) results on the 2003 fire season in Portugal by the 20th of August. Report 20030820, European Commission, Directorate General Joint Research Centre, Institute for Environment and Sustainability, Land Management Unit, Ispra, 10 pp. Beniston, M., 2004: The 2003 heatwave in Europe: a shape of things to come? An analysis based on Swiss climatological data and model simulations. Geophys. Res. Lett., 31, L02202, doi:10.1029/2003GL 018857. Beniston, M. and H.F. Diaz, 2004: The 2003 heatwave as an example of summers in a greenhouse climate? Observations and climate model simulations for Basel, Switzerland. Glob. Planet. Change, 44,73-81. Brown, T.J. and B .L. Hall ,2001: Climate analysis of the 2000 fire season. CE-FA Report 01-02, Program for Climate Ecosystem and Fire Applications, Desert Research Institute, Division of Atmospheric Sciences, Reno, Nevada, 40 pp. Burgan, R.E., P.L. Andrews, L.S. Bradshaw, C.H. Chase, R.A. Hartford and D.J. Latham, 1997: WFAS: wildland fire assessment system. Fire Management Notes, 57, 14-17. Ciais, Ph., M. Reichstein, N. Viovy, A. Granier, J. Ogée, V. Allard, M. Aubinet,N. Buchmann, C. Bernhofer,A. Carrara, F. Chevallier, N. de Noblet,A.D. Friend, P. Friedlingstein, T. Grünwald, B. Heinesch, P. Keronen,A. Knohl, G. Krinner, D. Loustau, G. Manca, G. Matteucci, F. Miglietta, J.M. Our-cival, D. Papale, K. Pilegaard, S. Rambal, G. Seufert, J.F. Soussana, M.J. Sanz, E.D. Schulze, T. Vesala and R. Valentini, 2005: Europe-wide reduction in primary productivity caused by the heat and drought in 2003. Nature, 437, 529533. Conti, S., P. Meli, G. Minelli, R. Solimini, V. Toccaceli, M. Vichi, C. Beltrano and L. Perini, 2005: Epidemiologic study of mortality during the Summer 2003 heat wave in Italy. Environ. Res., 98,390-399.
ganisations in the European Union General Committee for Agricultural Cooperation in the European Union, Brussels, 15 pp. Cox, P.M., R.A. Betts, C.D. Jones, S.A. Spall and IJ. Totterdell, 2000: Acceleration of global warming due to carbon-cycle feedbacks in a coupled climate model. Nature, 408,184-187. De Bono, A., P. Peduzzi, G. Giuliani and S. Kluser, 2004: Impacts of Summer 2003 Heat Wave in Europe. Early Warning on Emerging Environmental Threats 2, UNEP: United Nations Environment Programme, Nairobi, 4 pp. EEA, 2003: Air pollution by ozone in Europe in summer 2003: overview of ex-ceedances of EC ozone threshold values during the summer season April-August 2003 and comparisons with previous years. Topic Report No 3/2003, European Economic Association, Copenhagen, 33 pp. http://reports.eea.eu-ropa.eu/topic_report_2003_3/en. Fink, A.H.,T. Brücher, A. Krüger, G.C. Leckebusch, J.G. Pinto and U. Ulbrich, 2004: The 2003 European summer heatwaves and drought: synoptic diagnosis and impact. Weather, 59, 209-216. Fischer, R., Ed., 2005: The condition of forests in Europe: 2005 executive report. United Nations Economic Commission for Europe (UN-ECE), Geneva, 36 pp. Fuhrer, J., M. Beniston, A. Fischlin, C. Frei, S. Goyette, K. Jasper and C. Pfis-ter, 2006: Climate risks and their impact on agriculture and forests in Switzerland. Climatic Change, 79, 79-102. Gobron, N., B. Pinty, F. Melin, M. Taberner, M.M. Verstraete, A. Belward, T. Lavergne and J.L. Widlowski, 2005: The state of vegetation in Europe following the 2003 drought. Int. J. Remote Sens, 26, 2013-2020. Grize, L., A. Huss, O. Thommen, C. Schindler and C. Braun-Fahrländer, 2005: Heat wave 2003 and mortality in Switzerland. Swiss Med. Wkly, 135,200-205. Hemon, D. and E. Jougla, 2004: La canicule du mois d'aout 2003 en France [The heatwave in France in August 2003]. Rev. Epidemiol. Santé, 52, 3-5. Hegerl, G.C., F.W. Zwiers, P. Braconnot, N.P. Gillett, Y. Luo, J.A. Marengo Orsini, N. Nicholls, J.E. Penner and P.A. Stott, 2007: Understanding and attributing climate change. Climate Change 2007: The Physical Science Basis. Contribution of Working Group I to the Fourth Assessment Report of the Intergovernmental Panel on Climate Change, S. Solomon, D. Qin,M. Manning, Z. Chen, M. Marquis, K.B. Averyt, M. Tignor and H.L. Miller, Eds., Cambridge University Press, Cambridge, 663-746. INVS, 2003: Impact sanitaire de la vague de chaleur d'août 2003 en France. Bilan et perpectives [Health Impact of the Heatwave in August 2003 in France]. Institut de Veille Sanitaire, Saint-Maurice, 120 pp. Jankowski, T., D.M. Livingstone, H. Bührer, R. Forster and P. Niederhaser, 2006: Consequences of the 2003 European heat wave for lake temperature profiles, thermal stability and hypolimnetic oxygen depletion: implications for a warmer world. Limnol. Oceanogr., 51, 815-819. Johnson, H., RS. Kovats, G.R. McGregor, J.R. Stedman, M. Gibbs, H. Walton, L. Cook and E. Black, 2005: The impact of the 2003 heatwave on mortality and hospital admissions in England. Health Statistics Q., 25,6-12. Jolly, W.M., M. Dobbertin, N.E. Zimmermann and M. Reichstein, 2005: Divergent vegetation growth responses to the 2003 heat wave in the Swiss Alps. Geophys. Res. Lett, 32, L18409, doi:10.1029/2005GL023252. Kosatsky, T., 2005: The 2003 European heatwave. Euro Surveill, 10,148-149. Kosatsky,T. and B. Menne, 2005: Preparedness for extreme weather among national ministries of health of WHO's European region. Climate Change and Adaptation Strategies for Human Health, B. Menne and K.L. Ebi, Eds., Springer, Darmstadt, 297-329. Kovats, R.S. and G. Jendritzky, 2006: Heat-waves and human health. Climate Change and Adaptation Strategies for Human Health, B. Menne and K.L. Ebi, Eds., Springer, Darmstadt, 63-90. Laaidi, K., M. Pascal, M. Ledrans, A. Le Tertre, S. Medina, C. Caserio, J.C. Cohen, J. Manach, P. Beaudeau and P. Empereur-Bissonnet, 2004: Le système français d'alerte canicule et santé (SACS 2004): Un dispositif intégéré au Plan National Canicule [The French Heatwave Warning System and Health: An Integrated National Heatwave Plan]. Institutde Veille Sanitaire, 35 pp. Lagadec, P., 2004. Understanding the French 2003 heat wave experience. J. Contingencies Crisis Manage., 12,160-169. Létard V., H. Flandre and S. Lepeltier, 2004: La France et les Français face à la canicule: les leçons d'une crise. Report No. 195 (2003-2004) to the Sénat, Government of France, 391 pp. Lloret, F., D. Siscart and C. Dalmases, 2004: Canopy recovery after drought dieback in holm-oak Mediterranean forests of Catalonia (NE Spain). Global Change Biol, 10,2092-2099. Lobo, A. and P. Maisongrande, 2006: Stratified analysis of satellite imagery of SW Europe during summer 2003: the differential response of vegetation classes to increased water deficit. Hydrol. Earth Syst. Sci, 10,151-164. Luterbacher, J., D. Dietrich, E. Xoplaki, M. Grosjean and H. Wanner, 2004: European seasonal and annual temperature variability, trends, and extremes since 1500. Science, 303,1499-1503. Martinez-Navarro, F., F. Simon-Soria and G. Lopez-Abente, 2004: Valoracion del impacto de la ola de calor del verano de 2003 sobre la mortalidad [Evaluation of the impact of the heatwave in the summer of 2003 on mortality]. Gac. Sanit, 18, 250-258. Meehl, G.A. and C. Tebaldi, 2004: More intense, more frequent, and longer lasting heatwaves in the 21st century. Science, 305, 994-997. Michelon,T.,P. Magne andF. Simon-Delavelle,2005: Lessons from the 2003 heat wave in France and action taken to limit the effects of future heat wave. Extreme Weather Events and Public Health Responses, W. Kirch, B. Menne and R. Bertolllini, Eds., Springer, Berlin, 131-140. Michelozzi, P.,F. de Donato, G.Accetta,F. Forastiere, M. D'Ovido and L.S. Kalkstein, 2004: Impact of heat waves on mortality: Rome, Italy, June-August 2003. J. Am. Med. Assoc, 291,2537-2538. Michelozzi, P., F. de Donato, L. Bisanti, A. Russo, E. Cadum, M. DeMaria, M. D'Ovidio, G. Costa and C.A. Perucci, 2005: The impact of the summer 2003 heatwaves on mortality in four Italian cities. Euro. Surveill., 10,161-165. Mouthon, J. and M. Daufresne, 2006: Effects of the 2003 heatwave and climatic warming on mollusc communities of the Saône: a large lowland river and of its two main tributaries (France). Global Change Biol., 12,441-449. Nakicenovic,N., J. Alcamo, G. Davis, B. de Vries, J. Fenhann, S. Gaffin, K. Gregory, A. Grübler, T.Y. Jung, T. Kram, E. Lebre la Rovere, L. Michaelis, S. Mori, T. Morita,W. Pepper, H. Pitcher,L. Price, K. Riahi, A. Roehrl, H.H. Rogner, A. Sankovski, M. Schlesinger, P. Shukla, S. Smith, R. Swart, S. van Rooijen, N. Victor and Z. Dadi, Eds., 2000: Emissions Scenarios: A Special Report of the Intergovernmental Panel on Climate Change (IPCC). Cambridge University Press, Cambridge, 599 pp. NHS, 2006: Heatwave Plan for England: Protecting Health and Reducing Harm from Extreme Heat and Heatwaves. Department of Health, London. Nogueira, P.J., 2005: Examples of heat warning systems: Lisbon's ICARO surveillance system, summer 2003. Extreme Weather Events and Public Health Responses, W. Kirch, B. Menne and R. Bertollini, Eds., Springer, Heidelberg, 141-160. Nunes, M.C.S., M.J. Vasconcelos, J.M.C. Pereira, N. Dasgupta and R .J. Alldredge, 2005: Land cover type and fire in Portugal: do fires burn land cover selectively? Landscape Ecol, 20,661-673. Pal, J.S.,F. GiorgiandX.Q. Bi,2004: Consistency of recent European summer precipitation trends and extremes with future regional climate projections. Geophys. Res. Lett, 31, L13202, doi:10.1029/2004GL019836. Pascal, M.,K. Laaidi, M. Ledrans, E. Baffert, C. Caseiro-Schönemann,AE. Tertre, J. Manach, S. Medina, J. Rudant and P. Empereur-Bissonnet, 2006: France's heat health watch warning system. Int. J. Biometeorol, 50,144-153. Rebetez, M. and M. Dobbertin, 2004: Climate change may already threaten Scots pine stands in the Swiss Alps. Theor. Appl. Climatol, 79,1-9. Salvador, R., F. Lloret, X. Pons and J. Pinol, 2005: Does fire occurrence modify the probability of being burned again? A null hypothesis test from Mediterranean ecosystems in NE Spain. Ecol. Model, 188,461-469. Schär, C. and G. Jendritzky, 2004: Climate change: hot news from summer 2003. Nature, 432, 559-560. Schär, C., PL. Vidale, D. Lüthi, C. Frei, C. Häberli, M.A. Liniger and C. Appenzeller, 2004: The role of increasing temperature variability in European summer heatwaves. Nature, 427,332-336. Sénat, 2004: France and the French face the canicule: the lessons of a crisis. Appendix to the Minutes of the Session of February 3, 2004. Information Report No. 195,59-62. http://www.senat.fr/rap/r03-195/r03-195.html. Simón, F., G. López-Abente,E. Ballester and F. Martínez, 2005: Mortality in Spain during the heatwaves of summer 2003. Euro Surveill., 10,156-160. Stott, P.A., D.A. Stone and M.R. Allen, 2004: Human contribution to the European heatwave of 2003. Nature, 432,610-614.